Flight for Delhi at 9:45 Am and reach 11:00 Am. Morning after breakfast depart for Delhi by self. On arival transfer to Airport. Flight for Mumbai at 5:30Pm. Reach Mumbai at 7:55 Pm, Pick from Airport & transfer to hotel. Overnight at hotel. After breakfast at the hotel, check out from hotel depart to Mumbai by surface approx. 80 kms/ 2.5 hrs. Later visit complete Day local Mumbai sightseeing includes Gateway of India ( Taj Mahal Hotel ), Prince of Wales Museum, Jehangir Art Gallery, World Trade Center*, Mantralaya*, Assembly Hall*, Nariman Point, Oberoi Hotel, Air India Building, Wankhede Stadium*, Marine Drive ( Queen’s Necklace ) Girgaon Chowpatty ( speed boat H2O), Jain Temple, Kamla Nehru Park*, Boot House, Hanging garden. Evening bac kto hotel Overnight at hotel. Morning pick up from Sahara Star hotel and proceed for Mumbai Local sightseeing i.e. Tower of Silence (the only crematorium for Parsis /Zoroastrians), Taraporewala Aquarium, Mahalaxmi Temple, Haji Ali* Race Course*, Nehru Centre*, Nehru Planetarium*, Orama 4-D Theatre ( Atria Mall), or Nehru Science Center, See Link, Lilavati Hospital*, Band Stand ( Bandra ), Film Star Bungalows*(residential areas of famous bollywood stars near Bandstand and Bandra), Hotel Sea Rock *or Joggers Park, Juhu Beach. Return back to hotel. Overnight at hotel. Morning after breakfast depart for Imagica approx 90 kms/ 2 hrs. On arrival check inn at hotel and complete day exertion to Adlabs Imagica Park. Enjoy Imagica Theme Park with Snow Park activities. Evening return to hotel. Overnight at hotel. After breakfast transfer to Matheran by surface approx. 60 kms. / 2 hrs. On arrival check in at Hotel. 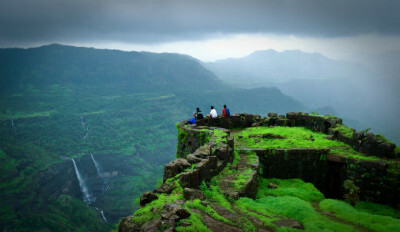 After that you will be free at your leisure or visit local Matheran Sightseeing. (Note:- Vehicle not allowed in Mathran hills due to Eco friendly destination) Overnight at hotel. Complete day free at your leisure. Overnight at hotel. After breakfast at the hotel, check out from hotel depart to Mumbai by surface approx. 80 kms/ 2.5 hrs. On arrival transfer to Airport. Flight for Indore at 7:25 Pm. Star(*) Marked sightseeing only out side view. Meal as per Plan at hotel- 7 Breafkast, 2 Lunch & 2 Dinner. All transfer and Sightseeing by Ac Vehicle as per Itinerary.